Angelman’s syndrome is a genetic neurological pathology resulting from an intellectual deficit and dysmorphic clinical manifestations (which concern the deformation of one or more limbs). This disease is rare and its global prevalence (number of cases in a given population, at a given time) is estimated to be 1/20 000 to 1 in 10 000. Angelman’s syndrome is at risk origin of a complex genetic disorder that affects the nervous system. This neurological assignment causes a delay in the intellectual development of the child, significant speech disorders and incoordination of movements (ataxia). Most children with this condition also have epileptic disorders and an abnormally small size of the cranial perimeter (microcephaly). Associated intellectual delays are usually visible between 6 and 12 years, but other symptoms may appear much earlier. Children with Angelmon Syndrome often exhibit excitable behavior with a frequent smile, laughter, and flapping movements in their hands. Hyperactivity, limited attention span and fascination with water are also associated with pathology. Sleep disorders may be recurrent in these patients with less sleep requirements than a normal child. With age, children’s excitability diminishes and problems with falling asleep tend to improve. 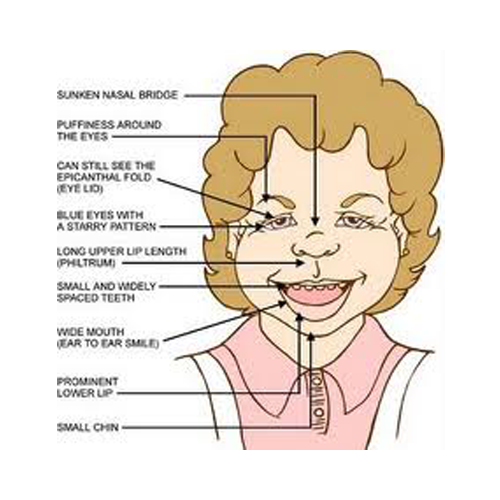 Adults with Angelman syndrome have characteristic facial features. These are defined by visible magnifications of the face. Other characteristics may also be visible, such as: abnormally clear skin and hair or abnormal curvatures on both sides of the spine (scoliosis). The life expectancy of patients with this condition is relatively close to that of a normal adult. Angelman syndrome is a disease that affects the nervous system of the person. To date, the associated symptoms have been clearly defined. These physical manifestations are usually absent at the birth of the child and are difficult to identify before the age of one year. Their identification is most often between the ages of one and three years. Despite the fact that the characteristics of the disease are not visible at birth, difficulties in feeding and hypotonia (decreased muscle tone) can be noticed during the first 6 months of the child’s development. In addition, a developmental delay can also occur between 6 months and 2 years. Other signs have also been described: happy behavior, hyperactivity, decreased attention, hyperexcitability, sleep disturbances, heat sensitivity and a fascination with water. With age, these signs can evolve by decreasing, one generally observes a thickening of the features of the face. Nevertheless, the development of scoliosis and locomotion disorders may appear later. Seizures tend to persist in adulthood. On the other hand, attention and sleep disorders tend to improve. Angelman syndrome is a genetic disease. This results from abnormalities in the function of the UBE3A gene. In the normal context of genetic transmission of this gene, this gene is inherited from each parent under a copy. These two copies of the gene are in their active form in different parts of the body. Nevertheless, in certain regions of the body, especially the brain, the active copy of this gene comes exclusively from the mother. This phenomenon is called: genetic fingerprinting. In the case where the maternal copy of the UBE3A gene is not present as a consequence of chromosomal changes or of a genetic mutation, the receptive subject does not therefore hold the active form of the gene for these parts of the brain. Different mechanisms may be responsible for the inactivation or absence of the maternal copy of the UBE3A gene. In most cases, it is the absence of a chromosomal segment located on the maternal chromosome 15 and coding for this gene of interest. In other cases, Angelman syndrome is a mutation in the maternal copy of this gene. 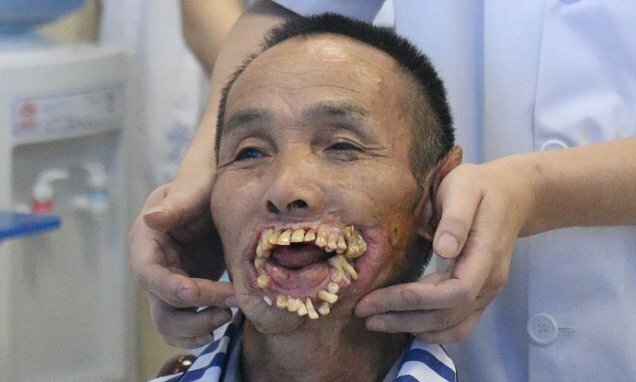 Other cases of the disease can be caused by the inheritance of two copies of this gene from the father and not a copy from the mother and a copy from the father. This phenomenon is called the uni-parental disomy. More rarely, Angelman syndrome can also be caused by a chromosomal rearrangement: chromosomal translocation. The lack of explanation as to the origin of the disease is possible in 10 to 15% of cases. Genetic changes in other genes and / or chromosomes may also be responsible for disorders in these latter cases of the disease. In most patients with Angelman syndrome, a deficiency in the OCA2 gene is associated with an abnormally clear color of hair and skin. This gene is also located on a fragment of chromosome 15. Another non-genetic origin of the pathology has also been put forward. This is characterized by abnormalities in the formation of the egg cell, during reproduction or during embryonic development. Risk factors related to the development of Angelman syndrome are genetic. – an abnormality in the development of the egg cell or embryonic development. Before the age of one year, the diagnosis of Angelman syndrome is difficult to achieve. However, if the child has tremors before the development of walking, the suspicion of the disease can be issued. At the onset of clinical manifestations after 1 year, the diagnosis of the disease can then be evoked. It results in a differential diagnosis based on visible symptoms and can be confirmed through genetic testing. These genetic examinations result in the realization of a karyotype, using the technique of FISH (Fluorescent in Situ Hybridization) to detect a possible chromosome deletion within chromosome 15. Today there is no cure for the disease. Nevertheless, as soon as the diagnosis of the disease is made, it is inevitable that the patient has a suitable accompaniment at the earliest. This support is translated by the mobilization of a multidisciplinary team.